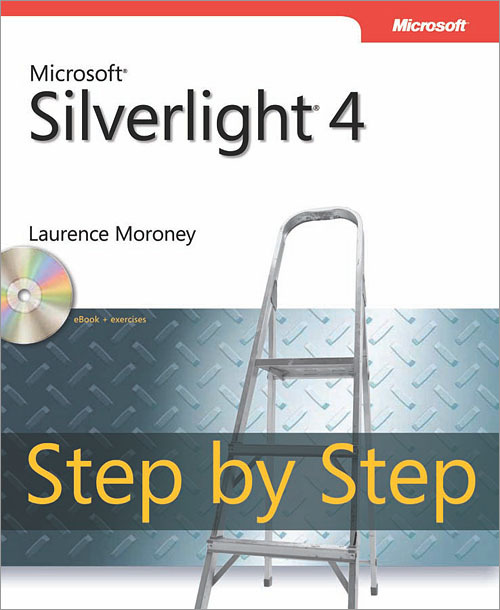 Teach yourself how to build rich Internet applications with Silverlight 4-one step at a time. With this practical, learn-by-doing tutorial, you'll learn how to create interactive user interfaces for the Web and the newest version of Windows Phone by mastering the essential tools and techniques for Silverlight. Laurence Moroney is a Senior Technology Evangelist at Microsoft,focusing on Silverlight and the user experience. He has more than adecade of experience in software development and implementation, and has written dozens of books and articles on Windows Presentation Foundation, Web development, security, and interoperability. View Laurence Moroney's full profile page.